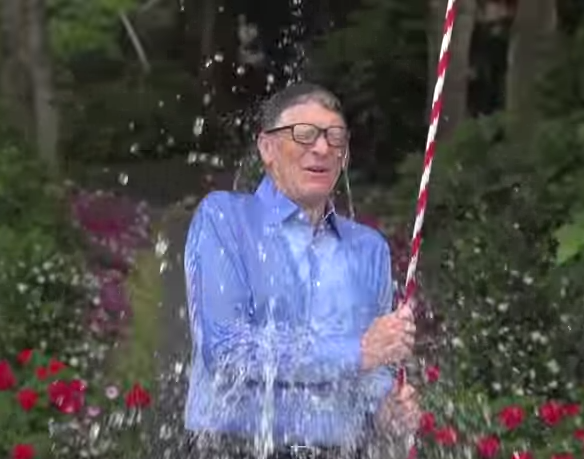 I'm sure everyone is by now familiar with the #icebucketchallenge -- your social newsfeed will be dominated by celebs, famous people and even your friends/family doing it. How it works: your friend tags you to dump ice water over yourself and film it. If you don't do the challenge you donate $100 to the ALS fund. Otherwise do it on video and tag 3 friends with the challenge. Oh, the simplicity. I think it is a brilliant mechanic that worked to raise awareness and cash for the donation/cause of ALS in the States through the power of social videos. So far it has raised more than $15 million. However, back in Singapore I think it has started to lose its original intention, since most people are doing it because it is simple, fun, you get to upload a video of yourself without feeling weird and you get to challenge others. So here's what I'll like to propose. That we start our own viral acts for a Singaporean charity like the ST School Pocket Money Fund or Singapore Cancer Society. Or even the President's Charity. Here are some viral acts you can challenge yourself and your friends with. 3. Eat a mouthful of really spicy chili padi. 4. Stuff your mouth with marshmellows and try to say "Chubby Bunny" until you can't. 6. Eat a really sour lemon or lime! These babies did, so can you. Remember to video it. *Bonus Idea. If you are a StarHub mobile subscriber, SMS <OPT-IN> to 6904 to donate any unused 3G or talktime/SMS to charity #4Good. Any other ideas? Otherwise let me know which one you'll challenge someone to do!